Local, Independent and Family Owned Carpet and Upholstery Cleaners. The Chemdry Cleaning process uses 80% less water than typical steam cleaning so your carpets dry within hours not days. When you call you will talk to Tanya or Jason, your dedicated, local owner-operators. How Can Jason & Tanya Help You? 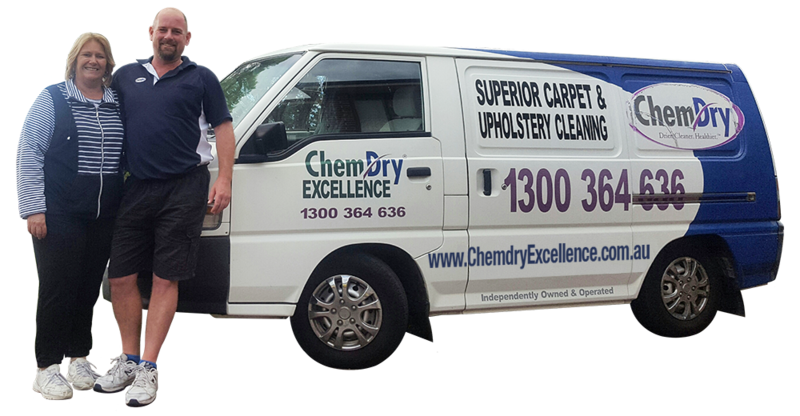 Cleaning over 10,000 homes a day around the world, Chem-Dry is the market leader in carpet and upholstery cleaning services. Using our proprietary hot carbonating extraction cleaning process that combines innovative cleaning solutions and industry-leading equipment, our technicians will deliver a cleaning that’s not only safe for your carpets, rugs and upholstery, but gives you the peace of mind of knowing you have a clean, refreshed home that is healthier for you and your family. We invite you to learn more about the benefits of Chem-Dry’s carbonating cleaning process and green-certified solutions that are safe for your kids and pets. Our process uses 80% less water than typical steam cleaning, which allows your carpet to dry in a few hours instead of 1-2 days. This also lowers the risk of mold and mildew growth that can result from the excessive amount of water used by most steam cleaners. Keep area rugs looking good and extend their life with regular Chem-Dry cleanings. 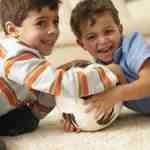 While we are treating your carpets to a professional, healthier clean, consider what we can do for your area rugs. Our gentle cleaning and drying process preserves the dye within the fibres of your rug, helping to keep them clean, bright and looking like new. Upholstery can attract just as much dirt, grime and allergens as the carpets and rugs in your home. Dirty clothes and shedding animals only add to the problem. Chem-Dry’s unique hot carbonating extraction process is ideal for upholstered furniture including couches, loveseats and chairs. We can revitalise your upholstery with a fresh clean that dries quickly and stays cleaner longer. A spilt cup of coffee or juice, a paint project gone awry or a busted pen – These are just a few of the everyday things that can lead to tough, unsightly stains on carpets, rugs and furniture. Chem-Dry’s trained technicians have seen it all and are more than ready to take on the challenge. Our experts will evaluate the nature of your stain and select the best solution to eliminate it from your carpet, upholstery or rug for good. While we all enjoy the company of our furry friends, sometimes they can make a mess. Our trained Chem-Dry carpet and upholstery cleaning specialists know all the tricks of the trade when it comes to finding and eliminating tough-to-treat pet urine odours. We will locate the problem area(s), examine the extent of the damage and apply our revolutionary Pet Urine Removal Treatment® (P.U.R.T.) to rid your home of any nasty urine odours. P.U.R.T. doesn’t mask the odour with perfumes like other products – it contacts the source of the odour and begins a chemical reaction that destroys the urine odour, leaving a lasting, fresh smelling clean and extending the life and health of your carpets, rugs and furniture. Leather furniture is a great addition to your home, but keeping it in good condition can take a lot of work. Let Chem-Dry take the hard work out of making sure your leather furniture is clean and healthy. Our Certified Chem-Dry leather specialists know just how to bring back your leather furniture’s natural resilience and shine.